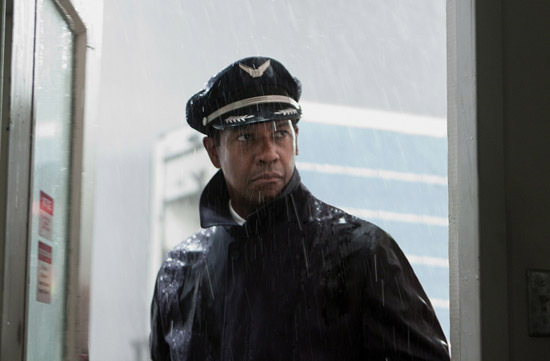 Two New TV Spots for Robert Zemeckis’ 'FLIGHT' Starring Denzel Washington & Don Cheadle! Paramount Pictures have released two TV spots for Robert Zemeckis’ upcoming thriller Flight. The movie stars Denzel Washington, John Goodman, Don Cheadle, James Badge Dale, Melissa Leo, Kelly Reilly, Garcelle Beauvais & Bruce Greenwood. The dramatic-thriller tells the redemption story of Whip [Washington], a commercial airline pilot who pulls off a heroic feat of flying in a damaged plane, saving 98 lives on a flight carrying 106 people. While the world begs to embrace him as a true American Hero, the everyman struggles with this label as he is forced to hold up to the scrutiny of an investigation that brings into question his behavior the night before the doomed flight. Flight hits theaters November 2nd 2013. Hit the jump for the details. Synopsis: "In this action-packed mystery thriller, Academy Award winner Denzel Washington stars as Whip Whitaker, a seasoned airline pilot who miraculously crash-lands his plane after a mid-air catastrophe, saving nearly every soul on board. After the crash, Whip is hailed as a hero, but as more is learned, more questions than answers arise as to who or what was really at fault, and what really happened on that plane?" I'm reading: Two New TV Spots for Robert Zemeckis’ 'FLIGHT' Starring Denzel Washington & Don Cheadle!Tweet this!